Today is what I grew up calling a ‘rainy day session’ or ‘a cave day’. Actually it’s been raining for over a week- cold and damp and just the kind of day you want to order when you feel the need to stay in your pajamas all day and hide away from the world watching movies on the couch. I love these types of days, it’s darker in the morning and the pitter-patter of the rain lulls you in and out of sleep in the most luxurious way possible. Cozy, nestled in my bed with the covers and comforters piled high I can almost drift effortlessly as I zig zag in and out of dreamland plotting my next food adventure. And dream I do…of yummy food! 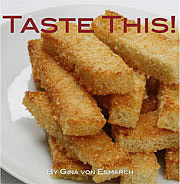 Lately I am enjoying coming up with recipes that others wouldn’t expect or imagine; especially my children. I am conducting my personal recipe gentrification. Reclaiming those recipes and flavors that I love, but in a way that fits my new ‘Mediterranean’ dietary lifestyle. The good news is that I hardly consider it a diet; it’s a delicious way of life that is not far off from the one I formerly belonged to. What inspired THIS post? I’ll confess, Thin Mint Girl Scout Cookies. They are one of my favorite guilty pleasures. And my favorite thing to do after I’ve purchased a box is to put them in the freezer >I do the same with Peppermint Patties too< and then eat them chilled. 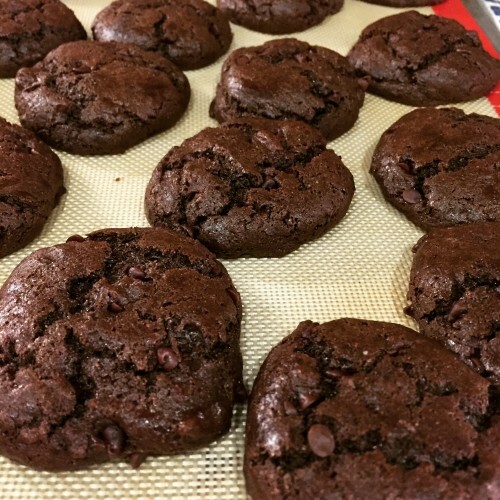 So you can see that with my mind noodling on Thin Mint Cookies and my similar fondness for Peppermint Patties, this healthy recipe makeover was an idea waiting to happen! 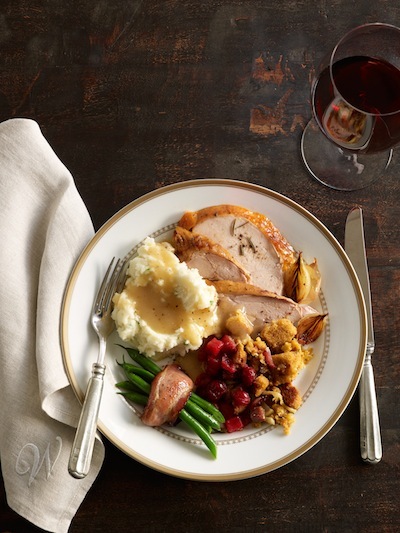 Here’s what’s in the recipe name…. Cookie Sandwiches: because they are easy to hold and fun to eat! The flavors mingled together are THE BOMB. I know, not horribly descriptive, but you’ve got to trust me on this. 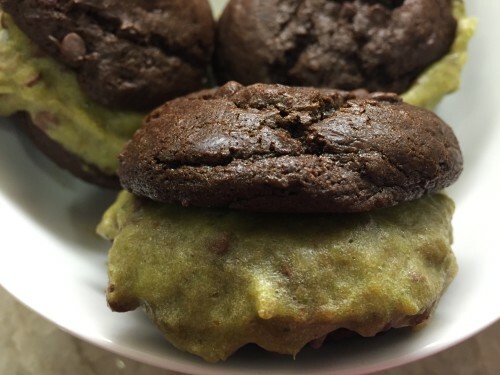 These two recipes are great on their own and combined they make the most heavenly THIN Mint Ice Cream Cookie Sandwich. This sugar free, raw, fat free and Paleo dessert is quick to pull together (aside from needing a scant amount of time to freeze a few things). And the other very healthy thing about this recipe is that veggies replace food coloring! The cookies have a hint of spice and because they are soft in texture it is easy to use them to build the sandwich. I recommend making the ice cream sandwiches ahead of time and storing them in an airtight container in the refrigerator for up to two weeks. Warning: Good luck, if you think you can resist eating them for more than 24 hours! These treats didn’t last more than a few hours in our home and it was amazing to see my young ones gobble them up without realizing how healthy they are! 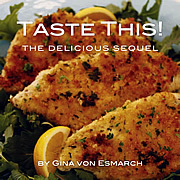 As much as I wanted to tuck this recipe away for a later date, perhaps even summer, I just couldn’t do it. So many of you called, texted, posted comments and reached out to me that I couldn’t keep it a secret. I am horrible at secrets anyway. 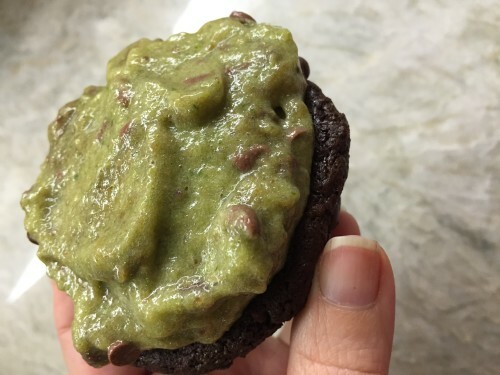 So here is my healthy take on a gluten free, refined sugar free, fat free, Paleo Mint Chip Ice Cream Cookie Sandwich to brighten up even a very rainy day. In bowl, mix together all ingredients adding chocolate chips last. Refrigerate 30 minutes. Scoop out 15 cookies. Each cookie should be approximately 2 tablespoons of dough, rolled into a ball. Place balls on parchment lined baking sheet, approximately 1 inch apart. Before baking slightly flatten each ball with a fork. Bake 10 minutes and allow to cool for 5-10 minutes once removing from oven. Place all ingredients in a blender and mix until thick and creamy. If not using immediately place in freezer for 1-2 hours. 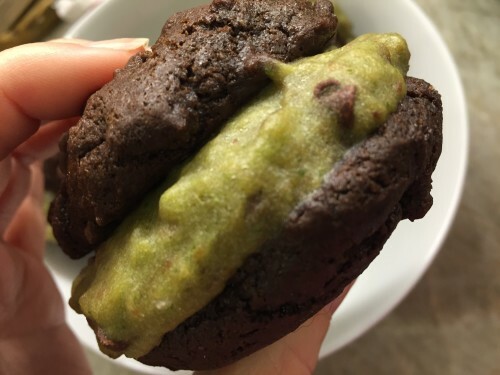 At least 30 minutes before assembling Thin Mint Ice Cream Cookie Sandwiches remove nice cream from the freezer and place in refrigerator. 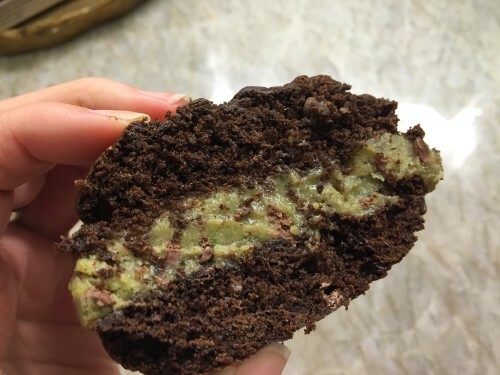 To assemble the sandwich, turn over the cookie to expose the flat underside and spread a ¼- ½ inch thick layer of peppermint nice cream on bottom cookie. Gently press the underside of the second cookie on top. Place sandwich on cookie sheet and continue until all of the filling and cookies have been used. Before freezing, use the flat edge of the back of a knife to clean up around the edges where the mint chip filling has spilled over. Pro Tip: The filling will also turn slightly darker when frozen for a few days, to camouflage this effect consider adding some coconut flakes, chocolate sprinkles or crushed toasted nuts. To apply extra garnish, first make and freeze sandwiches and then allow to sit out of the freezer for five minutes and roll exposed nice cream into preferred topping. Pop these beauties back in the freezer until ready to enjoy. Both the cookie and the nice cream are soft enough that you don’t need to remove these from the freezer before serving, however I like to take them out a few minutes early, cut them in half and plate them five minutes before serving.